Israeli forces continued with systematic crimes, in the occupied Palestinian territory (oPt), for the week of 20 – 26 September, 2018. Israeli forces continued to use excessive force against unarmed civilians and peaceful protestors in the Gaza Strip and West Bank. 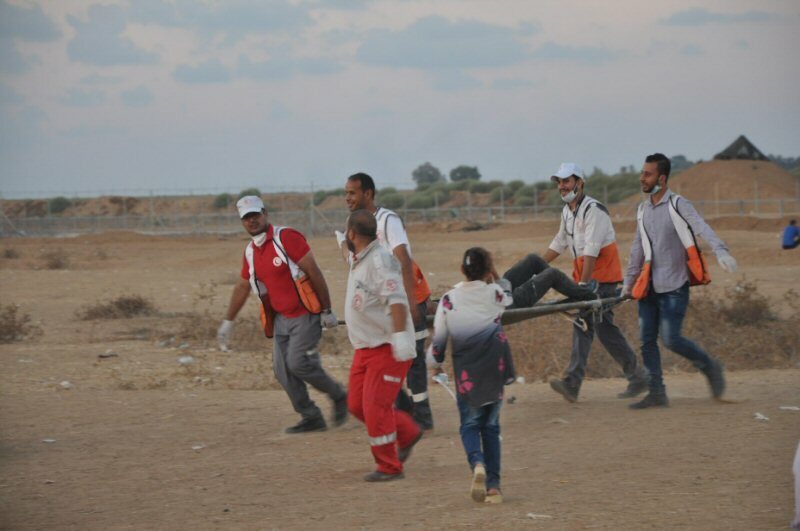 3 civilians were killed in Gaza City and northern Gaza. 311 civilians, including 59 children, 120 women, 4 journalists and 4 paramedics, were wounded. Eight of those wounded sustained serious wounds. 3 civilians were wounded in the West Bank. Israeli forces continued to use lethal force against Palestinian civilians, who participated in peaceful demonstrations organized within the activities of the “Great March of Return and Breaking the Siege” in the Gaza Strip, which witnessed for the 26th week in a row peaceful demonstrations along the eastern and northern Gaza Strip border area. During the reporting period, the Israeli forces killed 3 Palestinian civilians and wounded 311 civilians, including 59 children, 2 women, 4 journalists, and 4 paramedics. In the West Bank, 3 Palestinian civilians were wounded. In the Gaza Strip, on 21 September 2018, the Israeli forces killed Karim Mohammed Mahmoud Kullab (20) from Gaza City after being shot with a bullet that penetrated his abdomen and exited his back, during his participation in the Return and Breaking the Siege March, east of the city. On 23 September 3018, the Israeli forces killed Imad Dawound Mahmoud Ishteiwi (21) from al-Zaytoun neighborhood in Gaza City, after being shot with a bullet to the head during his participation in a night demonstration within the Return and Breaking the Siege Activities, east of Gaza City. On the next day, Israeli forces killed Mohammed Fayez Abu al-Sadeq (21) from al-Shati’ refugee camp, west of Gaza City after being shot with a bullet to the head from the back during his participation in the Return and Breaking the Siege protests in al-Seifa area “off Zikim Military Base, northwest of Beit Lahia in the northern Gaza Strip. As part of targeting Palestinian fishermen in the Gaza Sea, the Israeli forces continued to escalate their attacks against the Palestinian fishermen, pointing out to the ongoing Israeli policy of targeting their livelihoods. During the reporting period, the Israeli forces opened fire 3 times off the northern Gaza Strip shore. In the West Bank, the Israeli forces during the reporting period wounded 3 Palestinian civilians after suppressing the peaceful protests against settlements and siege. During the reporting period, Israeli forces conducted at least 56 military incursions into Palestinian communities in the West Bank and 9 similar ones into Jerusalem and its suburbs. During those incursions, Israeli forces arrested at least 27 Palestinians, including 2 children and a woman who is a journalist, in the West Bank. Meanwhile, 15 other civilians, including 2 children, were arrested in Jerusalem and its suburbs. As part of the house demolitions and other civilian objects, on 20 September 2018, the Israeli forces forced a civilian to self-demolish his house in al-Ashqariyah neighbourhood in Beit Hanina village, north of occupied East Jerusalem, upon a decision by the Israeli Municipality. On 23 September 2018, Israeli authorities notified the residents of Khan al-Ahamr Bedouin Community, east of occupied East Jerusalem, to evacuate their dwellings and self-demolish them within a week at the latest. As part of the Israeli settlers’ attacks against Palestinian civilians and their property, on 20 September 2018, the Israeli authorities handed a notice to a civilian in order to stop the construction works in his house. They also took photos of 2 other houses and retaining walls in ‘Ein al-Jweizeh neighbourhood in al-Walajah village, northwest of Bethlehem. On the same day, the Israeli forces demolished an under-construction house in Rantis village, west of Ramallah, under the pretext of building without a license in the area classified C which is under the Israeli control according to 1993 Oslo Accords. The Israeli forces carried out a wide land-levelling operation in the Khelet al-Nahlah Hill opposite to Urtas village, southwest of Behtlehem. They opened the road connecting the Hill with “Givat Itmar” settlement outpost that has been closed by the Israeli forces for 4 years. 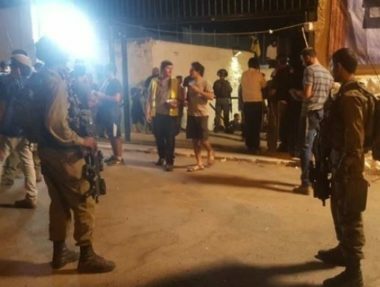 As part of the Israeli settlers’ attacks against Palestinian civilians and their property, a group of Israeli settlers accompanied with Israeli government officials and police officers tried to take over a land belonging to a civilian in al-Sheikh Jarrah, north of East Jerusalem’s Old City. On 24 September 2018, Israeli forces confiscated a caravan after dismantling it and a vehicle in Um al-Shaqhan area near Kherbet al-Mafqarah, east of Yata in southern Hebron, under the pretext of building and working in area C, without any prior authorization. • At approximately 07:30 on Thursday, 20 September 2018, Israeli bulldozer demolished an under-construction house in Rantees village, west of Ramallah, under the pretext of non-licensing in area classified as Area C, that is under the Israeli control. The above-mentioned 180-square-meter house belongs to Anwar al-Sab’awi. Anwar said that he previously got a license for his house after submitting an official letter via the Palestinian Liaison to the Israeli competent authorities, which gave him the approval to build his house. • On Thursday morning, Israeli forces levelled the mountain hill known as Khelet al-Nahla, which is adjacent to Atras village, southwest of Bethlehem. The Israeli forces opened a road that connects Khelet al-Nahla Hill with “Geoffat Itamar“settlement. The abovementioned road was closed 4 years ago by the Israeli forces following the Israeli Supreme Court’s decision upon a petition submitted by the hill’s residents and the Wall and Settlement Resistance Commission. Hasan Breajah, Representative of Committee against Wall and Settlements in Bethlehem, said that those measures came after inciting the Israeli Agriculture Minister, Uri Ariel, despite of the presence of 2 decisions from the Israeli Supreme Court to close it. The levelling operations and opening the road after a number of Israeli settlers came into Khelet Nahlah Hill, which is around 400 dumuns, established mobile houses, raised Israeli flags, and supplied electricity. Breajah clarified that a number of Israeli activists, who are from “Efrat“ settlement, came into the hill after evicting it years ago. • At approximately 14:00 on Monday, 24 September 2018, Israeli forces accompanied with 2 military vehicles, a vehicle of the Israeli Civil Administration and a truck moved into Um Shaqhan area near Kherbit al-Mofaqqarah, east of Yatta, south of Hebron. Um Shaqhan area is surrounded by “Avigal “settlement established on the Palestinians lands. The Israeli forces confiscated a caravan after dismantling it by the Israeli Civil Administration staff, a generator and tools belonging to Ahmed ‘Okasha Makharmah, and a vehicle belonging to Ishaq Mohamed Zain. All the confiscated items were taken to a detention facility in “Gush Etzion “ settlement, south of Bethlehem. The Israeli forces confiscated these items under the pretext of working in area classified as Area C, without taking a prior permission as the Israeli authorities prevented persons from expanding their lands whether building on or repairing those lands, which became uninhabited. It should be noted that the Israeli authorities targeted Kherbet al-Mofakharah, which shelters around 150 people, by demolishing its building and notifying its residents. Each building and facility in Kherbet al-Mofakharah received notices and orders whereas the Israeli authorities conducted expansion works in settlements established on Palestinian civilians’ lands and other nearby lands. • At approximately 13:00 on Thursday, 20 September 2018, a group of Israeli settlers accompanied with Israeli government officials and police officers attacked a plot of land belonging to ‘Abed al-Razeq al-Shaiekh in al-Shaiekh Jarrah neighborhood, north of occupied East Jerusalem’s Old City. 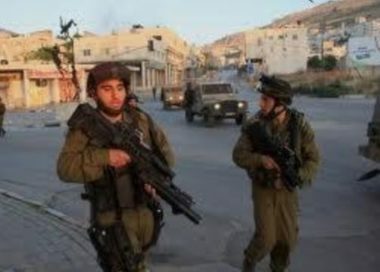 Eyewitnesses said that the Israeli setters raided the land, under the Israeli forces’ protection, for the second consecutive time during 20 days. The eyewitnesses clarified that the Israeli settlers brought tools to set up a tent in ‘Abed al-Razeq’s land, but the neighborhood’s residents confronted them and prevented them from continuing their work. The eyewitnesses pointed out that the settlers came into the area with an employee from the so-called Absentee Property Custodian Department and an Israeli settler, Aryeh King.